At the moment, Shu performs research on conflict-related issues in Georgia and its peripheral regions as a Marie Curie Early-Research Fellow of the CASPIAN project and is a PhD candidate in International Politics and Conflict Resolution at the Centro de Estudos Sociais (CES) and the School of Economics of the University of Coimbra, Portugal. He has spent the last several years working for the Strategic Research Center (a Georgian think-tank) as a visiting fellow, the Embassy of Japan in Georgia as an attaché at the political section, the OSCE/ODIHR Presidential Election Observer Mission in Georgia as an international monitor, the Japan International Development Agency (JICA) Headquarters and Sierra Leone Field Office as a project formulation adviser, and other institutions. 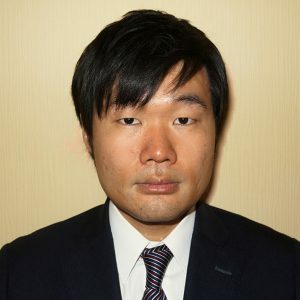 He is a PhD candidate at the Osaka School of International Public Policy, Osaka University, Japan, and received M.A in International Peace Studies from the department of peace and conflict studies, the United Nations mandated University for Peace, Costa Rica. Also, he holds BCom from Doshisha University, Japan.